Real Techniques Eye Detail Define brushes are designed for precision eyeliner looks. These versatile brushes can be used with liquid, cream, gel, or powder liners and shadows to create a flawless, photo-ready look worthy of a professional photo shoot. 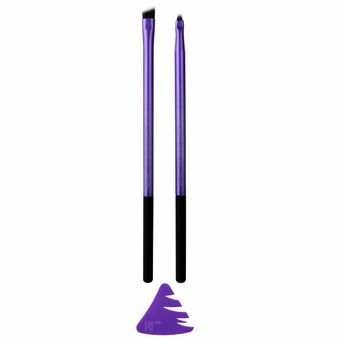 The definer brush firm, slanted bristles are ideal for controlled application along the lash line. The square detailer brush's precision cut, squared bristles help create small, precise lines accents. Bonus liner guide for steady liner application.